INSHORE: Catch and release snook fishing remains the main game in town on the inshore side of things. Look for the snook to be in the inlets and around the bridges at night. Flair hawks are a great lure choice right now; as are big swimbaits (Like a SpoolTek) around the bridges at night. Live baits will be the best bet during the day, especially in the inlet. Summertime temps have other inshore fishing on the slow side. Some scattered mangrove snapper reports coming in around the bridges, and fair sandperch reports in the ICW. SURF/PIER: Snook fishing has really started to improve along the beach, including the appearance of some larger fish. Live croakers and sandperch are a solid live bait choice right now for the big female snook, while smaller pilchards and threadfins are a good bait choice for getting a larger number of bites. During lowlight periods of the day Rapala X-Raps and Yo-Zuri Longcast minnows are a great lure choice for the snook. In brighter sunlight a small jig or soft plastic paddletail will be a better choice; with white always being a good color choice. 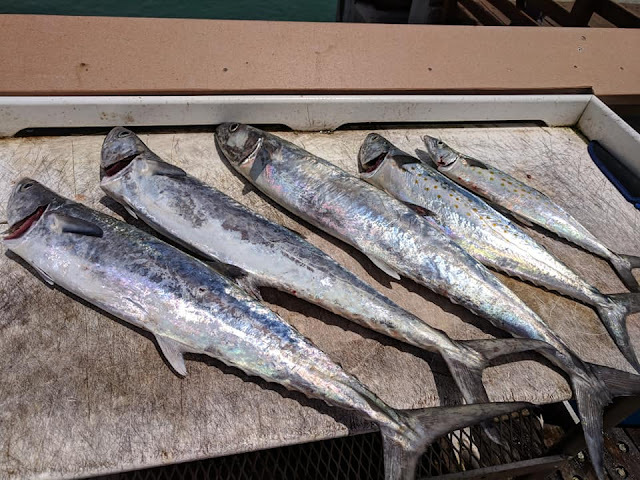 The Juno Beach Pier has had a fair number of Spanish Mackerel around, as well as a few kingfish still. Look for the early morning and late afternoon bite to be the best at the pier. Croakers and sandperch are biting good in the first trough on small pieces of shrimp. Scattered jacks and tarpon pushing along the beach as well right now.